The weather is starting to get warmer and it's about time. We have a lot of fun activities going on right now. Evelyn and Brandon are both having a good time at swimming lessons. Brandon also likes MOPS and the library, and Evy participated in the Art & Science Fair and is playing soccer again this year. 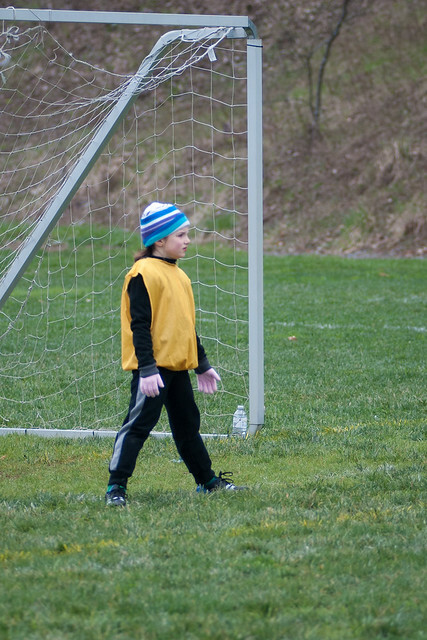 This season her age group includes a goalie and throw-ins. She enjoys both of these additions. 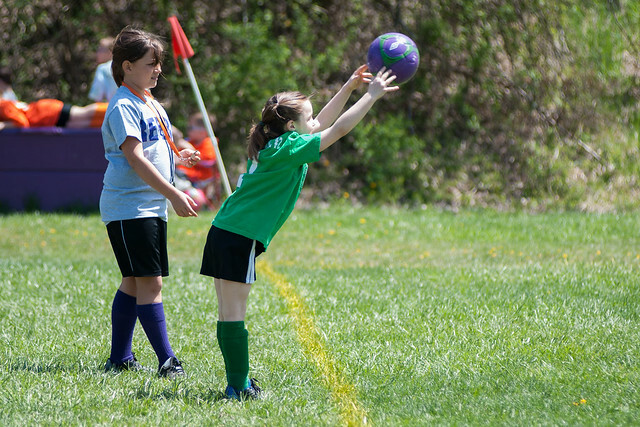 More Spring activity pictures are on Flickr.